SUBMIT YOUR SWEETEST MEMORY OF A VISIT. MY ENTRY. 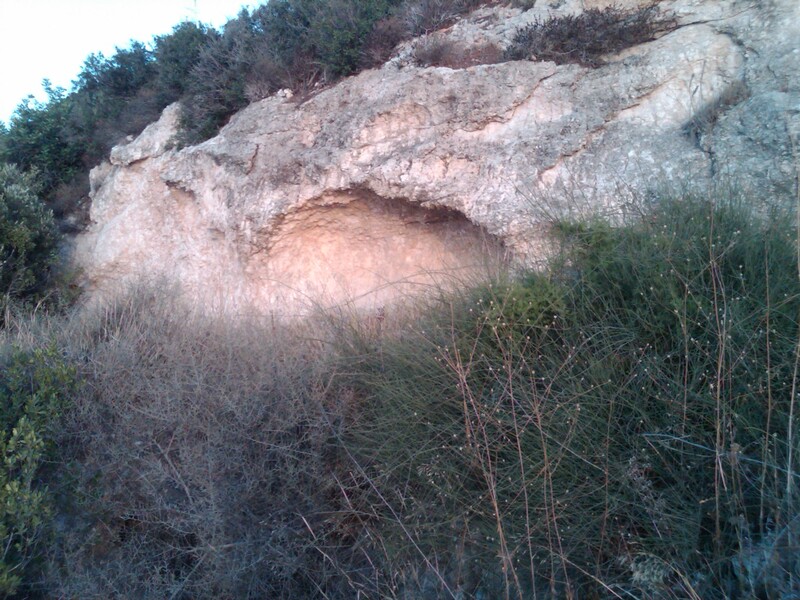 There are several caves on Mount Carmel associated with Elijah the Prophet. One of them is inside the Church of the Stella Carmelite Monastery. In Israel it is not unusual to find special sites actually enclosed within a church building. After spending an infernally hot day walking down the Bahai Gardens and a quick shower in my el-cheapo hotel, and I was off to see the cave. I got there just as they were locking up. I drove my Eldan rental to Stella Maris from the Hotel, with the AC as always on full blast. I parked just above the monastery. 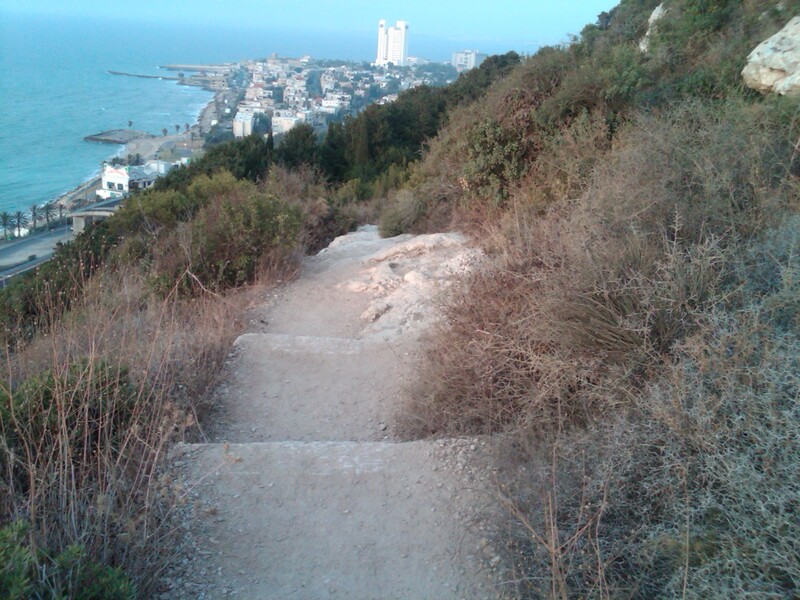 Haifa is nearly a vertical city, perched on Mount Carmel. Up and down are directions as well as left and right. 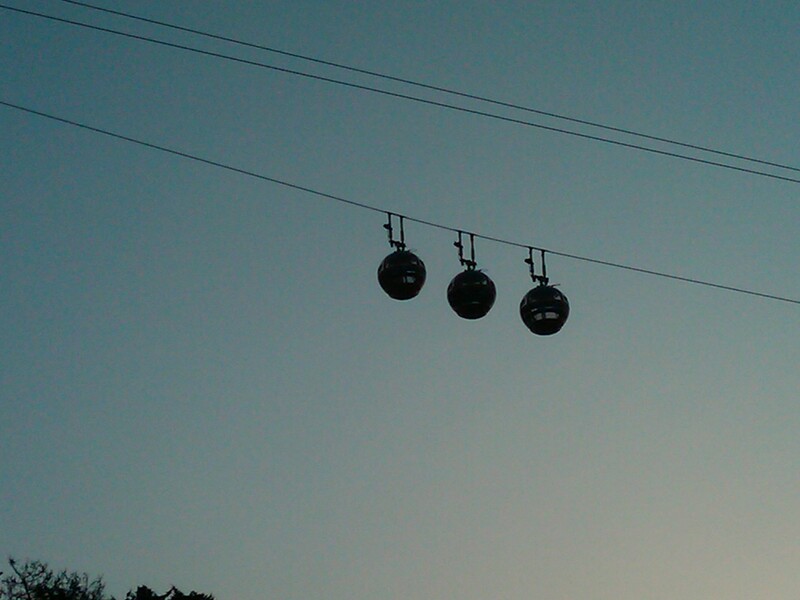 And to traverse that verticality there is the upper terminus of the cable car just down the block. The Monastery was closing just as I arrived. 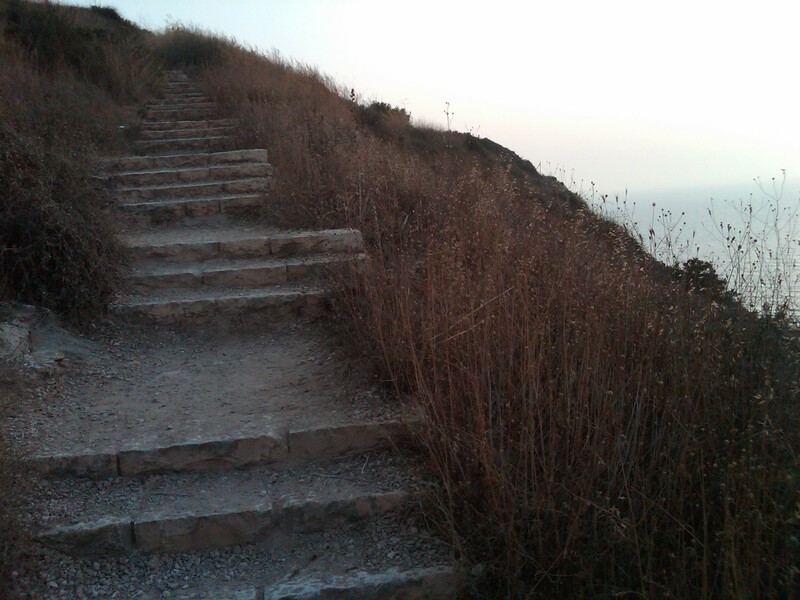 There is a trail descending down from Stella Maris Carmelite Monastery to the sea. Down it, I was told, are several other caves. Learning of the other caves I decided to walk down. So I walked down the trail as the sun was going down to my left. 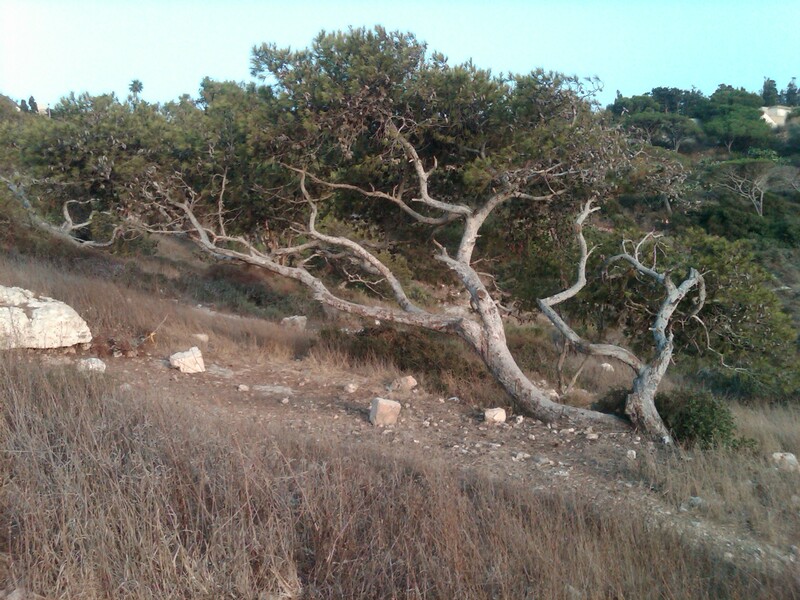 The trail winds down from the hilltop. After a little while I saw the cement skeleton from some abandoned building or bunker. 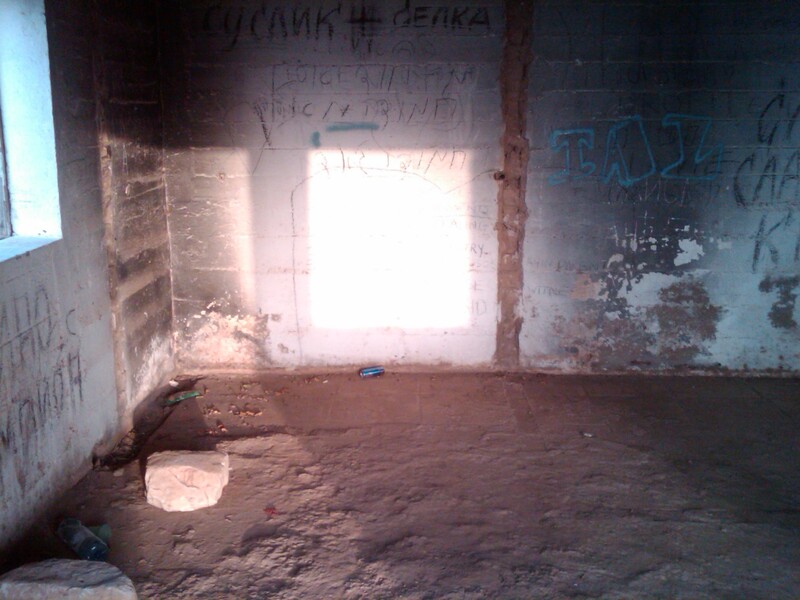 I noticed the sun shining through an empty window and casting a bright rectangle on the wall. I had been traveling alone and was very aware of my intuitive thoughts. Often times hiking about the many Nature areas I sought out, I would come to forks in the trail. Nearly always I picked what turned out to be the most fortuitous choice. That fiery orange rectangle must be significant, I knew! I strolled off on a subsidiary trail to check it out. 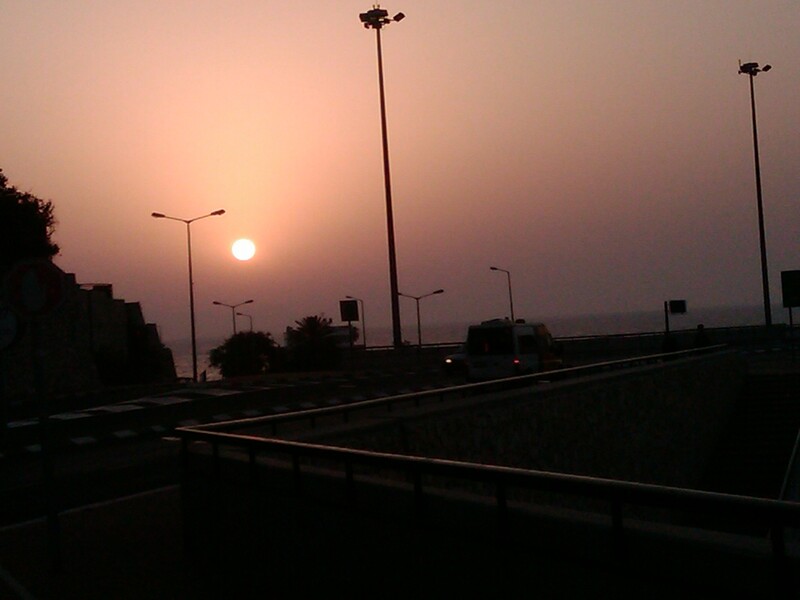 As the sun was going down the air was cooling. Birds were singing. 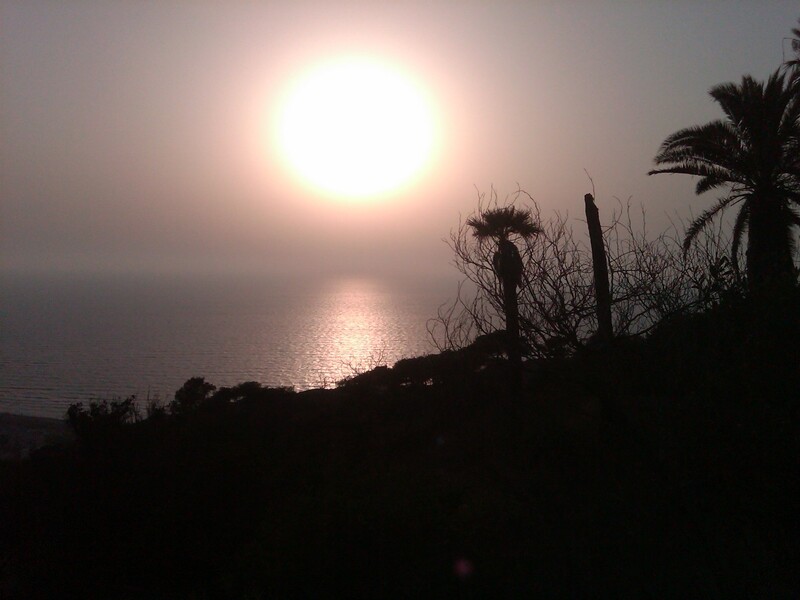 The sky over the Med was shades of mauve and pink with the formerly fierce sun now casting a whisper and shadows. 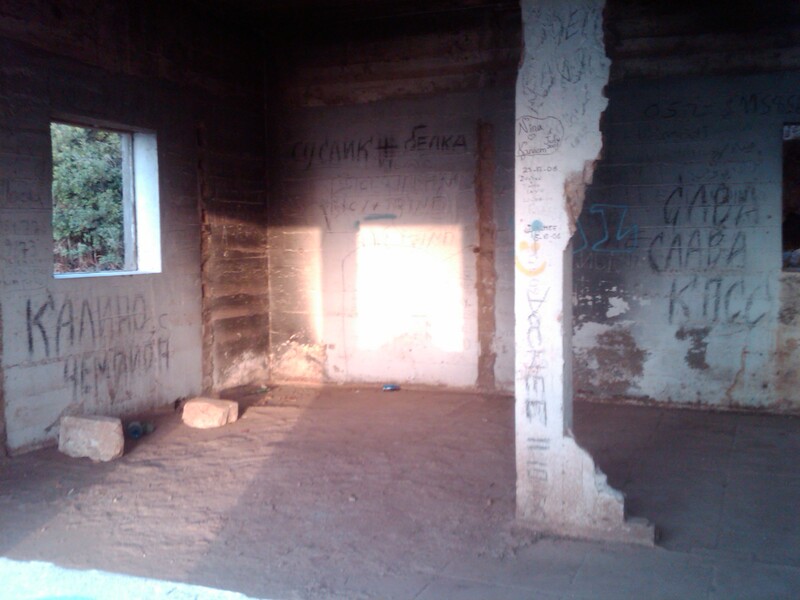 The bunker (or whatever it was) was cool and hushed. The orange rectangle on the wall opposite the empty window was at hand. Whatever was in that rectangle was there for me. I knew that. What would it be? I thought of the day’s sights and travels. I thought of the precise sequence of the day that lead me to this place at this particular time on this exact day to see this beam lighting this rectangular space. Inside, stepping over broken glass, Coke bottles and beer cans and signs of bonfires past I was greeted by a welcome cool moist feeling. As only the glass and small stones underfoot broke the silence I proceeded to see just what I was supposed to see. There, as if framed perfectly by the sun beam was writing. I knew it! But what does it say? It was the Ten Commandments! 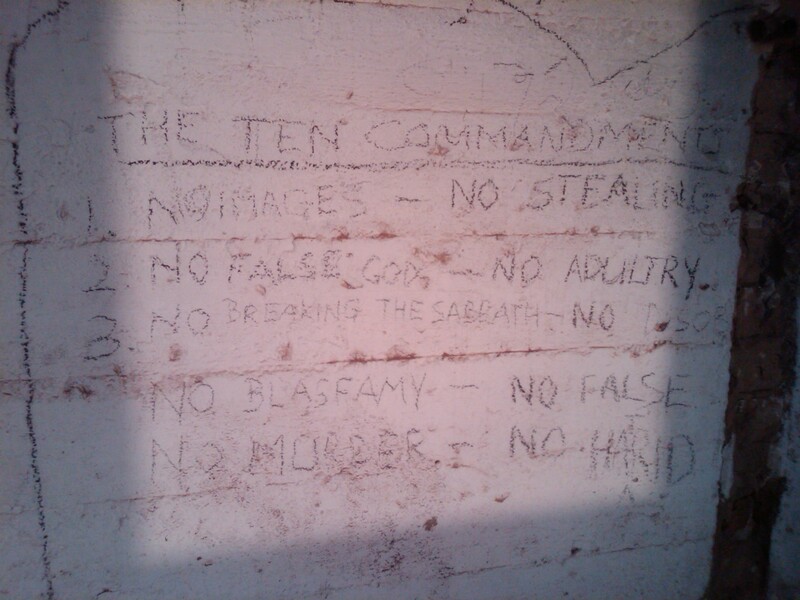 Someone had written the Ten Commandments in graffiti. And whoever did, did so at this precise location. They must have been here at the same time and solar day as I was. Another year maybe. Another decade?